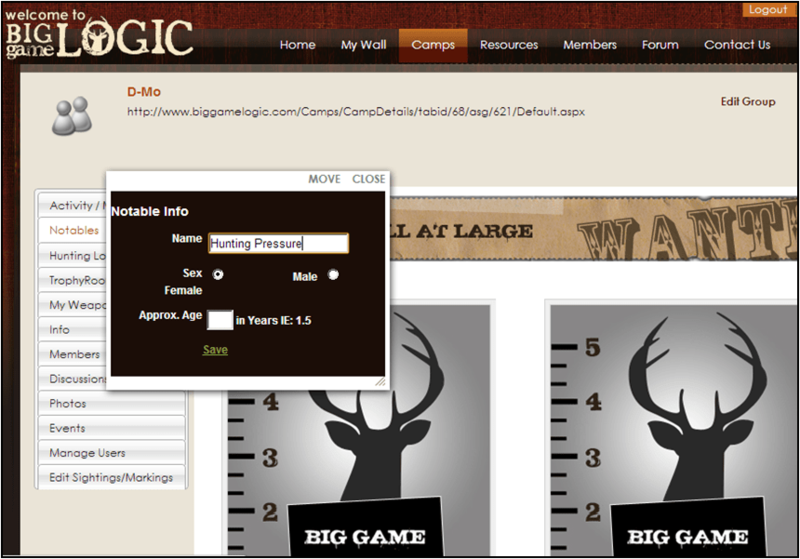 For those willing to “think outside the box,” Big Game Logic (BGL) can be used for a wide range of data collection and monitoring purposes. This is the start of a series of tips designed to help you use BGL to its maximum potential. Many of the basic tools that BGL offers are similar to the tools biologists use when analyzing data for animal behavior studies. Several of the techniques I will discuss are used by wildlife professionals and professional hunters to pattern animals. 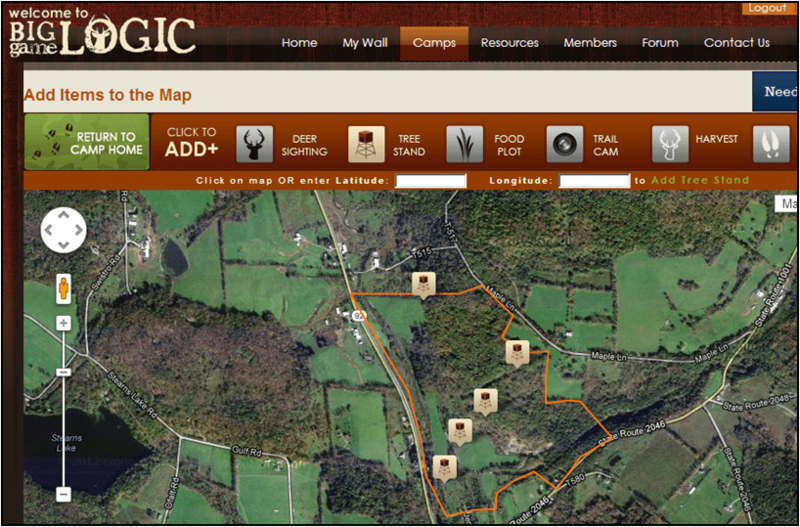 Step 1: Add all of your stand locations to your camp map. 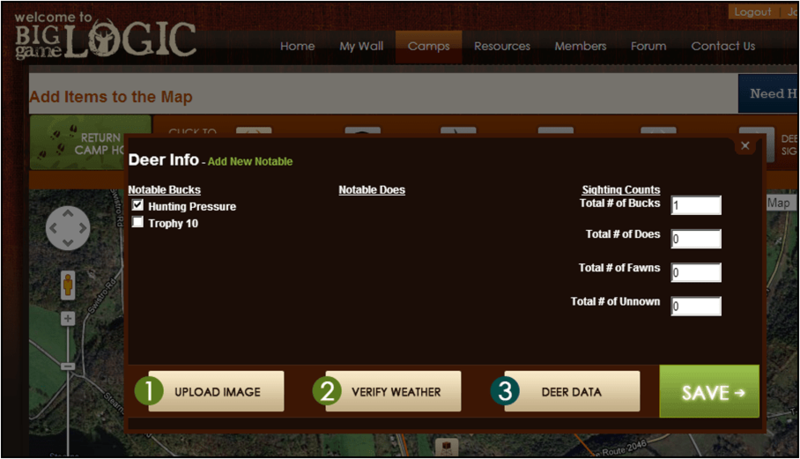 To see how much your stands have been hunted throughout the season, select “Hunting Pressure” and click “Search.” This will filter out all other sightings so only hunting pressure information is displayed on your map. Map before filtering out “Hunting Pressure” observations. 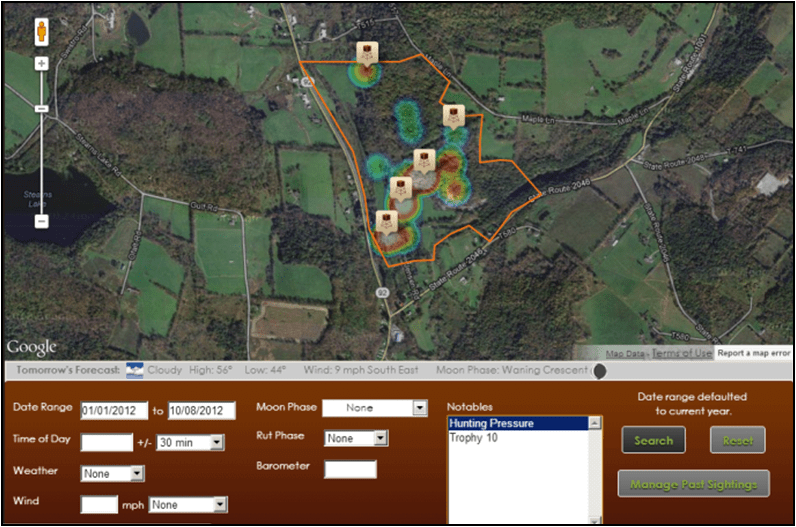 Final product: A map displaying various levels of hunting pressure. Sometimes connecting with a big buck is just a matter of hunting a piece of your property that has never been hunted before. 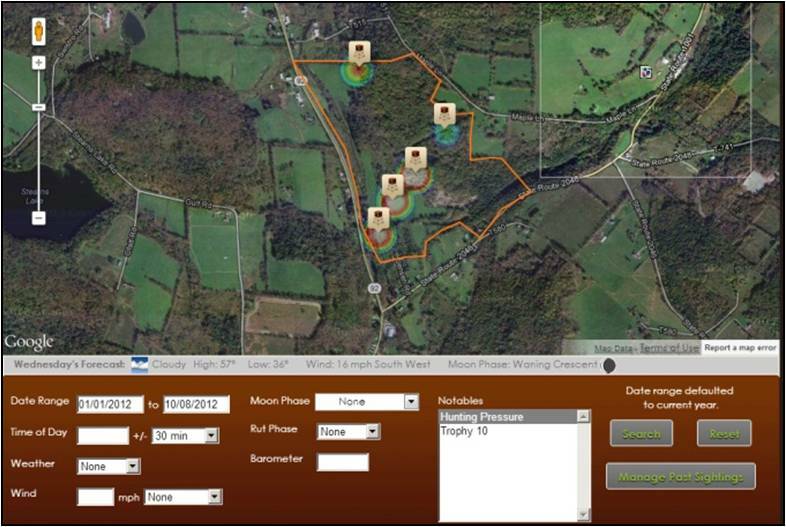 By mapping the hunting pressure on your property, you will get a better idea of the areas where deer can slip around your normal stand locations and survive season after season. Filling the open gaps with new stand locations may just be the key to successfully harvesting a mature deer on your property. Remember to always play the wind, and good luck!